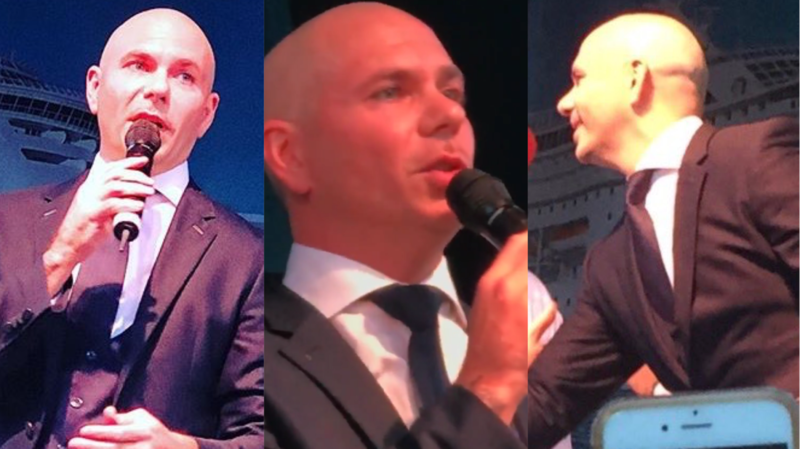 Pitbull made an appearance at the 2017 United States Conference of Mayors in Miami Beach today, where he was presented with a special award. Mr. 305 joined Mayor of Miami Beach Philip Levine and others onstage as he was presented the 2017 Artist Advocacy Award/Citizen Artist Award on behalf of The U.S. Conference of Mayors and Americans for Arts during Norwegian Cruise Lines Presents: Havana Nights in Miami Beach event. Take a look at photos and videos from #USCM2017 below!